India’s latest observation satellite EMISAT took off smoothly on Monday morning with Isro placing payloads in three orbits and conducting space experiments for the first time. The launch vehicle PSLV-C45 blasted off from the Isro spaceport, Satish Dhawan Space Centre, Sriharikota at 09:27 am today. 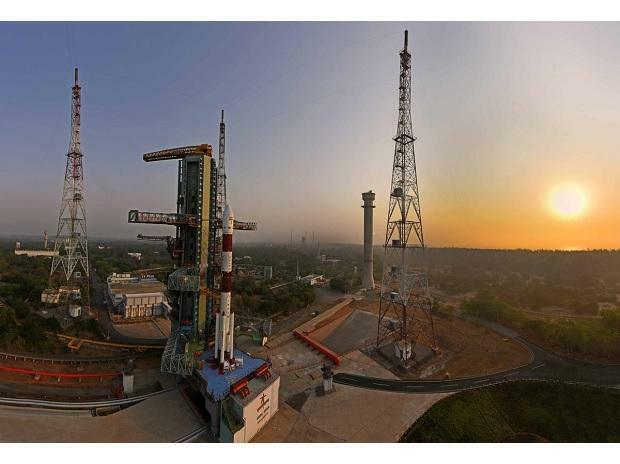 The rocket is carrying an electronic intelligence satellite Emisat for the Defence Research Development Organisation (DRDO) and 28 third-party satellites. This is the first mission of the PSLV in which its PSLV-QL variant (4 XL Strap-on motors) is being flown. The mission marks several firsts to the credit of the space agency as it would manoeuvre satellites in various orbits and orbital experiments including on maritime satellite applications. 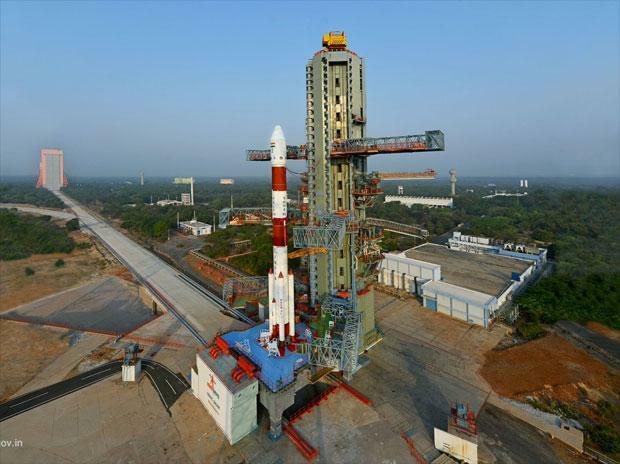 The primary satellite in the rocket is EMISAT, a satellite based on Isro’s Indian Mini Satellite -2 (IMS-2) bus platform. It is an electronic intelligence satellite for DRDO. The mission would witness the Isro placing payloads three orbits and conducting space experiments. #ISROMissions #PSLVC45 lifts off from SDSC carrying #EMISAT & 28 customer satellites. The principal “first-time” innovation this time is the multiple orbits involved in the mission. The main satellite EMISAT and the 28 customer satellites will be ed into two different orbits, and later, the fourth stage engine of the rocket will be taken to a third orbit in space. 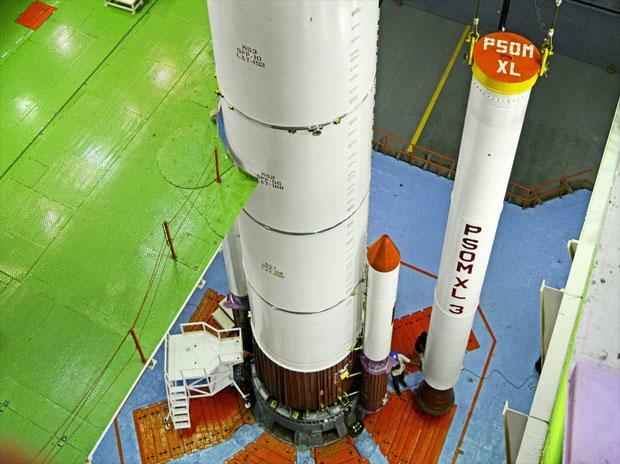 A new variant of the rocket PSLV-QL equipped with four Strap-On motors in the first stage is used for the launch. Isro Chairman K Sivan said that the main satellite EMISAT and all 28 customer satellites were placed in the intended orbit. He said this mission has many firsts starting from a new PSLV team, new configuration. Moreover, PSLV carried three orbital missions in a single flight. He added that the industry played a big role in this mission. Nearly 95 per cent hardware were fabricated outside Isro, while 60-70 per cent of the satellite components were fabricated outside Isro. Speaking about the upcoming missions, he said, Isro has lined up nearly 30 missions for this year, including launch vehicles and space crafts. The missions includes Chandrayaan-2. This is the 47th mission for Isro's PSLV programme. So after injecting the 436 kg primary satellite EMISAT, intended for electromagnetic spectrum measurement, at around 17 minutes from lift off in a 749 km orbit, they would restart the fourth stage again. During this initiative, all the other 28 customer satellites would be released by lowering the fourth state to around 504 kms orbit. Again, the fourth stage would be reignited and further lowered to 485 kms orbit to serve as an orbital platform for carrying out space borne experimentations for the first time in Isro's history. This is the first time it has been envisaged to provide a micro-gravity environment for research organisations and academic institutes to perform experiments. 3. Advanced Retarding Potential Analyzer for Ionospheric Studies (ARIS) from Indian Institute of Space Science and Technology (IIST) - for the structural and compositional studies of the ionosphere. The whole flight sequence will take about 10,857 seconds or about 180 minutes from the rocket’s liftoff. The 28 international customer satellites (24 from USA, Lithuania-2 and one each from Spain and Switzerland)- will weigh about 220 kg. Ratan Shrivastava, advisor (space division), Federation of Indian Chambers of Commerce and Industry (FICCI) said that EMISAT, DRDO’s strategic satellite, also marks a successful partnership of ISRO with DRDO. EMISAT is an all weather and all terrain condition satellite using Ka band, which will allow it to work through clouds, rain, forest and coastal areas. It was placed into a 436kms sun synchronous polar orbit. EMISAT is an ELINT (Electronic Intelligence) satellite, which means it should have a SAR (Synthetic Aperture Radar) to measure the electromagnetic spectrum - so as to intercept and analyse radar signals, find their location,identify the hostile radars based on their RF signature. This will be a vital tool for India, when EMISAT along with the AWACS can effectively locate, tackle and silence enemy radars, and secure Indian airspace. This is the second success for DRDO and ISRO combine, within a week, having successfully achieved #MissionShakti on 27th March, where India test-fired a sophisticated anti-satellite missile and destroyed an Indian satellite flying in its low-Earth orbit at 300 kms, successfully demonstrating its capability based on complete indigenous technology. PSLV C-45 has achieved another milestone, in Make In India, as more than 90% of the hardware for the mission was sourced from the Indian Industry. 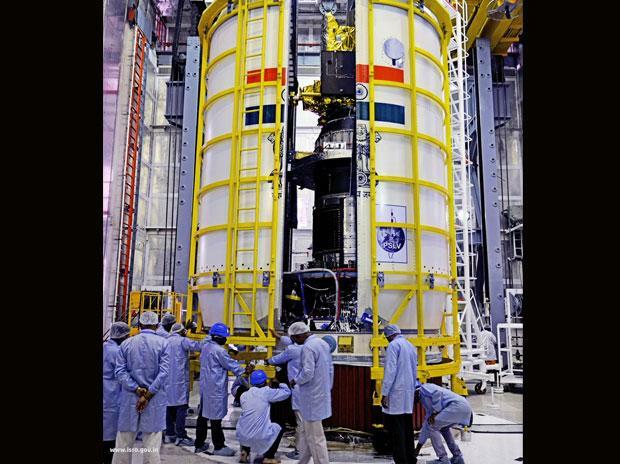 An image taken moments before the PSLV-C45 heat shield getting locked with the payloads intact inside.